Punctuation is an essential – if not always consciously applied – part of our daily communication. When we write, those little dots, dashes, curls, capital letters, and other marks all provide powerful meaning and direction. It signals the start of a sentence. Capitals also show respect for the names of people and places. Capitals give prominence. Leaders also give prominence by what (and who) they capitalize, what they show respect for, and where they choose to start things. Starting, naming and focusing are everyday ways in which leaders “punctuate” their mission, their methods and their meaning. This little mark has three essential roles: to separate introductory information in a sentence, to separate items in a list, and to insert explanatory or detailed information within a sentence. A tiny mark, but one whose placement can considerably alter meaning. It’s important for leaders to be able to clearly connect and separate related events, activities and issues – like items in a list. It’s also vital to give context to what you’re asking – providing introductory information, if you like, before articulating the specific request. And sometimes there are qualifying or clarifying directions, explanations or requirements to be communicated. Just as the comma is perhaps the most frequently misused punctuation mark, so too leaders can misplace, misuse or mistime pauses and comments. More information is not necessarily better communication. There are also three key ways the colon is used: to introduce a word or phrase that serves as explanation, clarification, summary, or interpretation; to introduce a list; and to formally introduce a quotation. Colons illustrate and amplify. 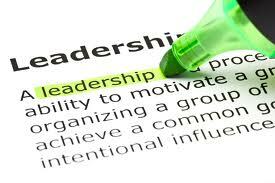 Leadership is punctuated with colons when we clearly establish, explain and enumerate. There’s a sense of order and rationale that a simple, clear list of ideas or explanations provides. The question mark is one punctuation point that probably needs more rather than less use in our workplaces. Particularly in leadership. It invites response, encourages engagement and indicates an expectation of contribution. The Spanish language does the question mark particularly well, placing an upside down version of it at the start of the sentence. This lets the reader know up front that what’s being said is a question, rather than requiring them to wait until the end of the sentence for that important context to be revealed. ¿It’s a great idea, don’t you think? Perhaps there’s something in that for leadership communication too. Finally! The exclamation point conveys surprise, anger, strong emotion, or enthusiasm. While most business writing should be free of exclamation points (and exclamations! ), they can add appropriate meaning in informal ways (e.g., note the difference between emailing someone “That’s great” versus “That’s great!”). Two things about exclamation points and leadership: it’s important to occasionally and selectively signal appropriate surprise, appreciation, disapproval or enthusiasm by exclaiming; and, the more you do it the less impact it has – just as it does in writing. Leaders must ask and encourage questions. What difference could that make? 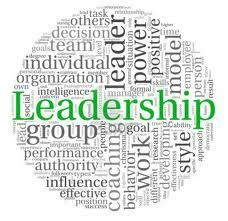 The point is, leadership requires appropriate punctuation – otherwise leadership can feel like an awfully long sentence for followers. So, how will you punctuate your leadership? If one were to ask a selection of people what triggers their anger I suspect there would be a wide range of answers. However one thing I am certain of is that whatever the cause, even a single word spoken in anger can leave an impression on a person’s heart that may remain for a long time, and has the ability to ruin the beauty of any relationship. A famous sage once said, “How can there be peace on earth if the hearts of men are like volcanoes?” If within the person there can be peace and freedom from anger, only then can they live in harmony with others. So how can we set about creating that sense of peace within ourselves? It starts with the realisation that we do have the choice to think and feel the way we want to. If we look at what it is that makes us angry we might discover there is nothing that has the power to make us feel this way. We can only allow something to trigger our anger—the anger is how we respond to some event or somebody. But because we are so used to reacting on impulse, we forget to choose how we want to feel and then respond inappropriately, leaving ourselves with angry feelings. Have you ever heard someone saying: “I really hate it when you speak like that to me?” Or how about, “How many times do I have to tell you to do it like this?” One lesson I have learned is that, try as I might, I can never control circumstances, people or situations, as they are constantly changing. The only thing I can control is the way I choose to respond. Only I can increase my capacity to tolerate; only I can develop my ability to understand; and only I can nurture my love for others regardless of whether one day they praise me and the next they defame me. Modern-day life comes with a whole host of challenges. In facing these I have come to see every interaction within our world as part of one large drama or game. And within this drama, every single individual has their own unique part to play, which is essentially an expression of their own inner self. As I come to accept this, rather than spending my time keeping an eye on what others are doing, I can begin to use my energy to play my own part to the best of my ability. I realise that I cannot possess or own the behaviour of others, because if I do, this will ultimately lead to conflict. Instead I need to practise the understanding that regardless of whatever action a person may be doing, according to their own part within the play there is some reason why they are behaving in that way. Therefore I should try not to jump to conclusions too easily; and rather than trying to control another person’s behaviour, it will be far easier and more productive for me to focus my energy on my own actions. So what is so wrong in judging in their actions? There is a danger that if we become too concerned with their activity, we may begin to feel anger toward that person, which may lead to dislike for them. We put them into some kind of box, and fix a label on them. Then whenever we come into contact with that person, we will see him or her in the light of their past mistake. But in doing this, we are effectively imprisoning them in their past actions. However if we allow the person the dignity of actually growing out of their own mistake—if our vision allows them to do that—then, sooner or later, it is possible for people to change. This concept of life being a drama can help us to detach ourselves from what’s happening around us, and this detachment or space is of great help in learning not to make judgements so quickly about others. If we create a small space, a healthy space between ourselves and the drama of life, we find that that space acts like a buffer. Neither will we jump out and grab someone’s throat, nor will the drama of life be able to suddenly grab us unawares. This is one of the many benefits of practising meditation. It helps us to create personal space within ourselves so that we have the chance to look, weigh up the situation, and respond accordingly, through remaining in a state of self-control. When we are angry, we have no self-control. At that moment we are in a state of internal chaos, and the anger can be a very destructive force. 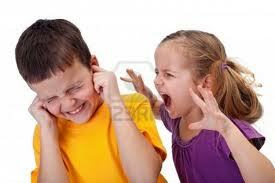 Broadly speaking, there are two methods which people suggest one should try and deal with anger. 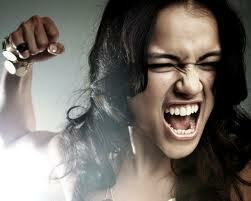 Some say if you’re feeling angry, then be angry as a way of expression—let it out. And indeed, at that moment we do become free from the anger, because we have let it out. However, as we deepen our understanding and experience of the way in which our consciousness works, we realise that the more we do something, the deeper that habit becomes. So tomorrow we will find it easier to become angry because we have already done it today. It is like a smoker trying to give up cigarettes. When he feels like smoking, he smokes, and so he doesn’t feel like smoking any more. Nice idea. But instead of removing that desire, the act of smoking has only temporarily fulfilled it, and the habit has taken an even firmer grip such that tomorrow the desire will be even stronger. So expression doesn’t transform the habit or feeling.